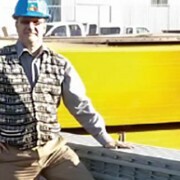 Southwell Corp has been providing FRP products to Canexus Chemicals in North Vancouver, BC since 2006. Canexus’ North American chlor-alkali operations are located in their North Vancouver facility. Canexus are the regional low-cost producer of chlor-alkali in Western Canada and the Pacific Northwest. In Western Canada, they have over 50% of the caustic soda market share and approximately 30% of the hydrochloric acid market share. These chemicals are used widely in the pulp and paper industries, and for industrial waste water treatment. 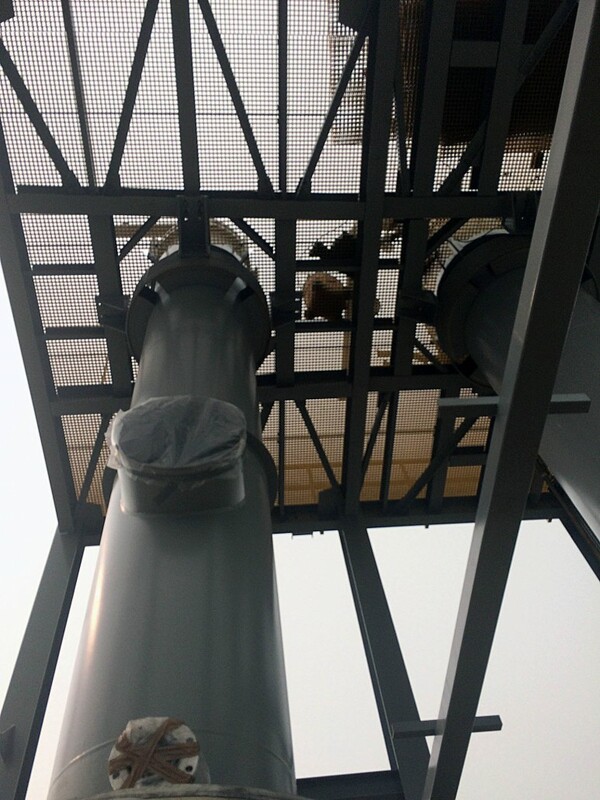 These chemicals are also extremely hard on equipment, and FRP grating and structural shapes from Fiberman provide durable, safe service in this demanding environment. In 2010, Canexus completed a technology conversion project (TCP) which upgraded a plant that had operated for half a century into a modern, cost effective and environmentally superior operation. It also expanded their capacity by one-third. In 2013, they completed two hydrochloric acid expansions which increased their capacity nearly 150% to meet demand primarily from the oil and gas industry. 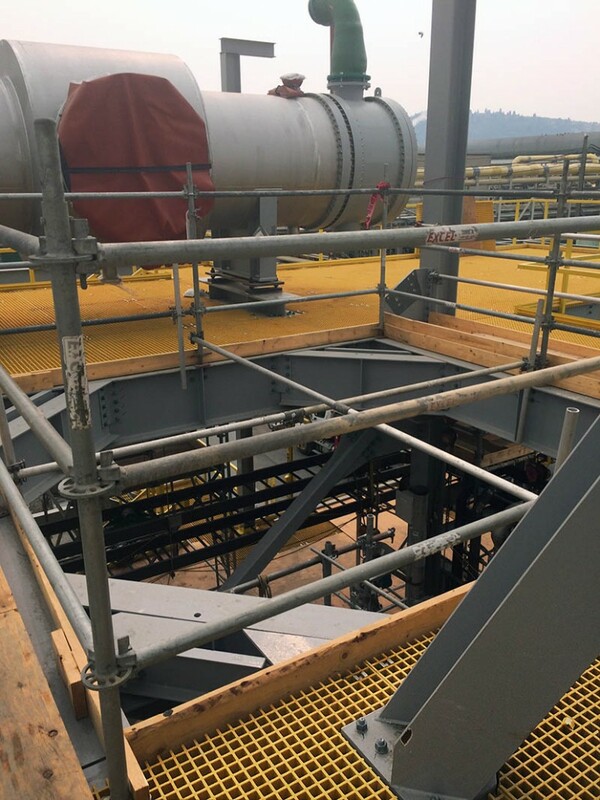 Fiberman has supported Canexus with new FRP materials for these plant expansions, working closely with engineers, project managers and installation contractors. 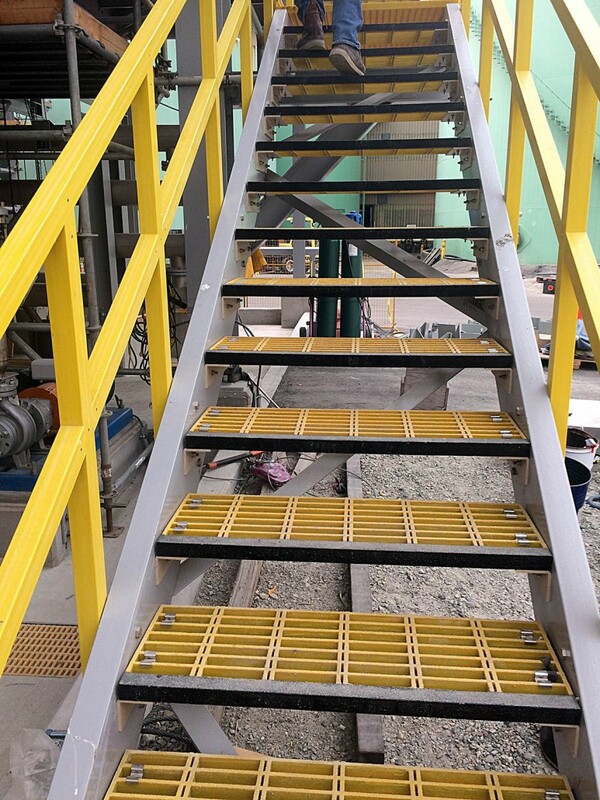 Recent upgrades have included over 5,000 square feet of grating platforms, 250 stair treads, 320 feet of FRP railing, and two 50,000 litre fiberglass tanks. Click on any of the photos below to view the photo gallery of this project. Fibreglass structures are excellent for harsh environments subject to chemical exposure, such as outdoor walkways on drilling platforms, in WWTP water treatment plants, in livestock facilities and anywhere you require secure and durable walking surfaces. These structures will consistently outperform rust-prone steel structures where moisture is present. 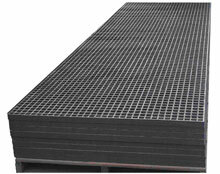 For all FRP Grating and Structures inquiries, please call 1.844.599.0260 or email sales@fiberman.ca or Request a Quote. 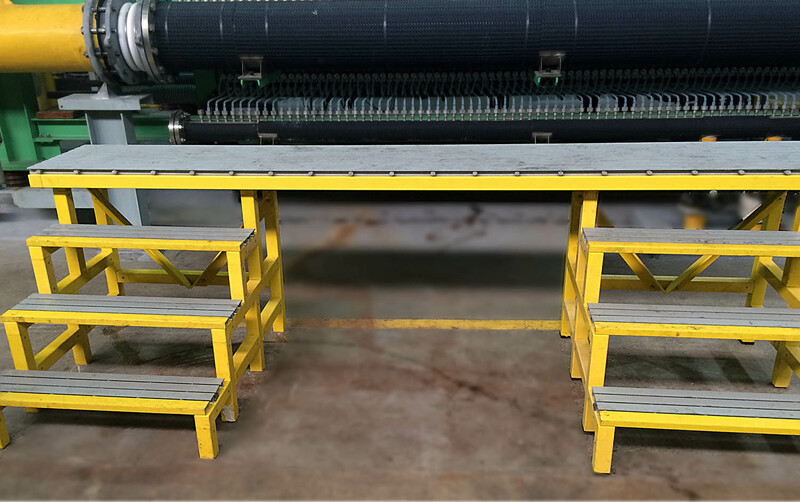 Fiberman’s headquarters in Western Canada stocks many FRP Grating and Structures dimensions, ready to ship across British Columbia, Alberta and all provinces in Canada. 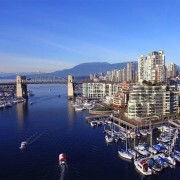 We have daily shipments from Vancouver to destinations including Edmonton, Calgary and Fort McMurray. For our US customers, we ship from distribution centers in: Pittsburgh, PA; Houston, TX; Knoxville, TN; Rochester, MN; Salt Lake City, Utah; and Orlando, FL. Fiberman’s pricing and service experts are standing by to help to find the best product for your project. 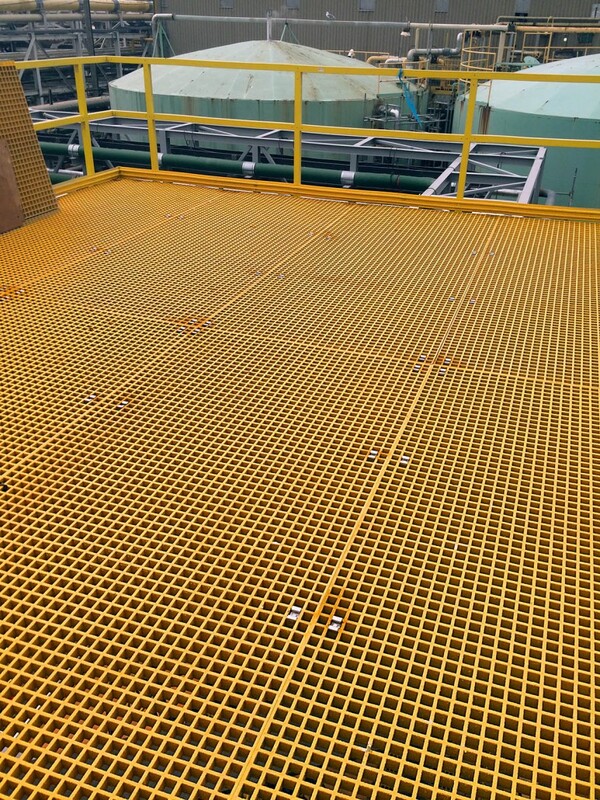 With many varieties in stock and expedited shipping, we can supply your project with FRP Grating and Structures at the best possible price with fast delivery. In today’s connected world, we depend on cellular telephone signals, Wi-Fi networks and over the air radio and television signals. Wi-Fi and Bluetooth connectivity are essential to on-site work environments. Steel structures significantly disrupt these signals. 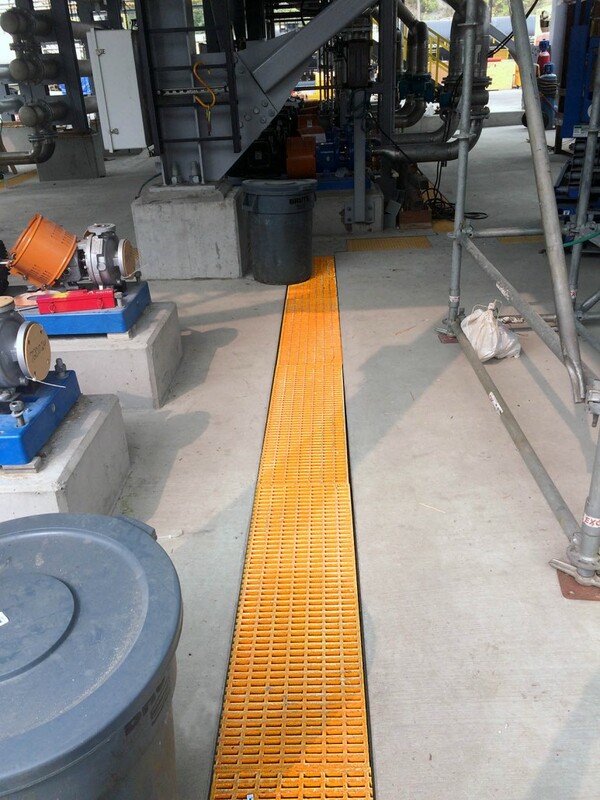 FRP Grating and Structures are an essential part of building structures that are “electronically transparent” and do not interfere with radio frequency transmissions.